I was so tempted to pick up some Thai food take-out red curry chicken and rice on my way home tonight. Since I try to minimize consuming rice with dinner in my attempts to eat healthier and lose weight, I convinced myself to stay strong. 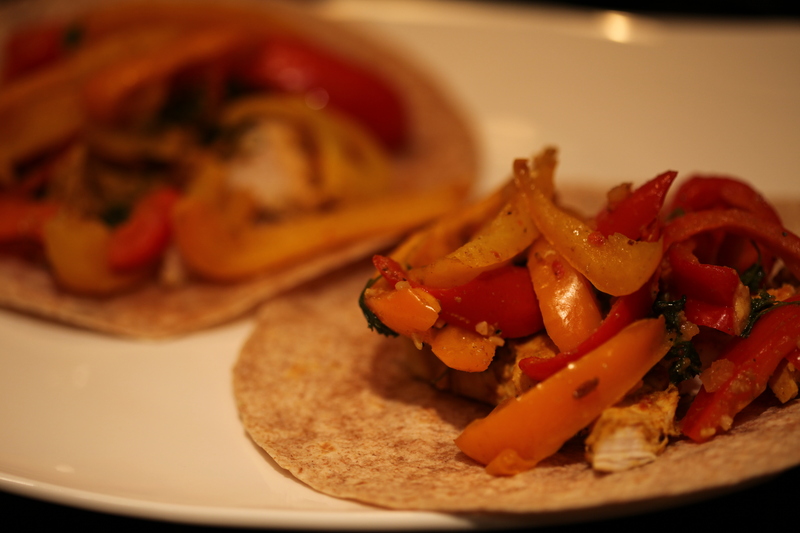 A brilliant idea came to me on how I could potentially satiate my craving while enjoying a healthy dinner at home. You can use bell peppers of any color, but I particularly enjoy bright colors and I’m convinced colorful food is healthier for you. Maybe it’s just in my head, but it also makes for a pretty picture, doesn’t it? I sliced up my red, yellow, and orange bell peppers and tossed them in the pan with some chopped red onion to saute. I seasoned the mixture with garlic, salt, Cavenders, and some coriander. Once the peppers were cooked through, I added some fresh italian parsley to contrast not only in color but in flavor as well. Parsley has a very subtle bitter quality to complement the sweetness of the peppers. 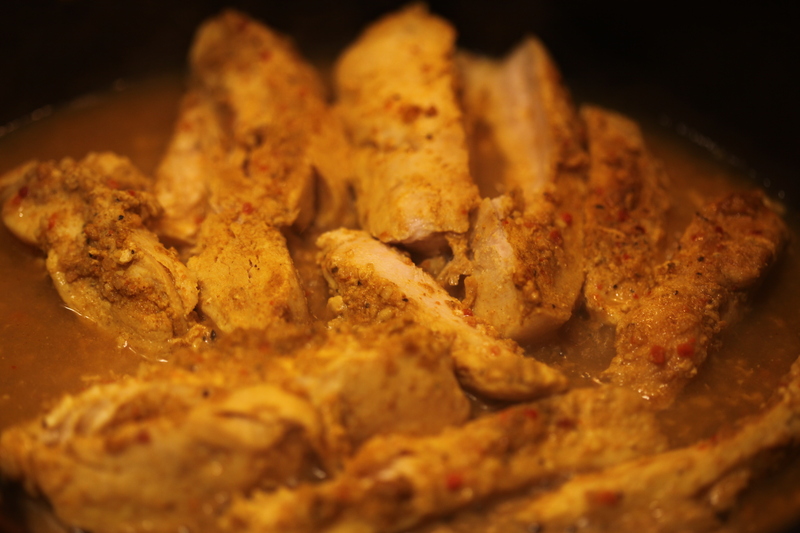 In a separate pan, cook up some sliced chicken breast with jamaican curry (yellow curry), Cavenders, minced garlic, salt, hot sesame oil, ground mustard, ginger, and coriander. I first cooked each of the sides and then added water to let the chicken simmer while covered to cook all the way through. 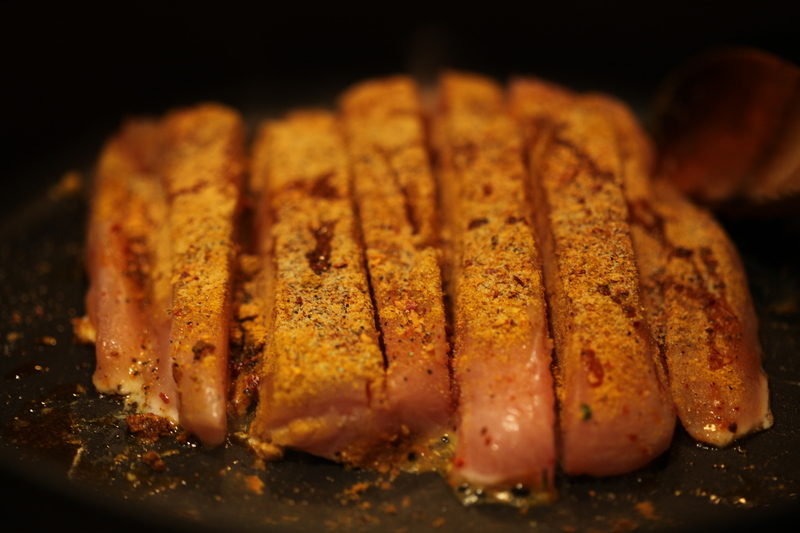 The water also helps to soften the chicken allowing you to cut it into smaller pieces or shred it if desired. 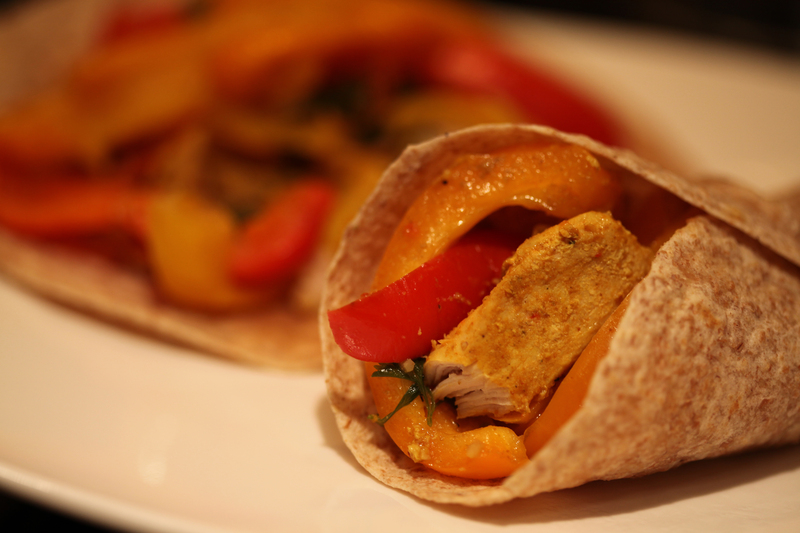 I opted to eat my curry chicken with peppers and parsley in a whole grain whole wheat wrap, but you can certainly enjoy this meal with some rice instead, or even over a salad. Either way, it’s healthy and easy to make, and took about 30 minutes to prepare. Full of color and full of flavor!